Are you looking for a plumber to take care of your home? Everyone has to have the number for great plumbers on speed dial just in case of an emergency. You never know when a problem might occur, and you need to be better prepared just in case. Issues with your plumbing can cause serious damage to your house! This can include flooding if you have corroded or rusted water lines or if you have a water line burst or break from freezing. If the corrosion gets to far along and you don’t catch it in time it will eat a hole in the water lines. This can cause major problems. If you just happen to not be at home at the time you may find a huge mess and a whole lot of damage when you return home. You can also have problems with leaking gas lines or even carbon monoxide from your gas hot water heater. You always need a smoke detector and a carbon monoxide detector in your home. Always check the batteries and keep them fresh. Carbon monoxide poising is a very serious problem and can cause serious injury and even death. Professionals at very competitive prices! Academy Disc Plumbing & Repair are the top company to turn to when you need someone in your local area. Our business has been around since 1985. More than 30 years now and we are regarded as the most reliable and most reputable team around. People can always count on us to provide them with very fast, efficient and professional service when needed. We are available for your convenience just give us a call and we will be with you as soon as possible. You can expect nothing but the most excellent results when working with our techs. Our services are always impeccable! We try to always think of our customers first and keep them the top priority. Other companies are not very selective when choosing their employees. This however, does not apply to us. We will always employ only trained and experienced workmen that have been in the business for a very long time. Each of our techs is an expert at their craft and they work fast to get the job done right from the very first try. You can rest assured that the technicians that we send to your home will tend to your problems in the most professional and most efficient way possible! We employ friendly and polite people who will always answer any and all of your questions that you will have for them. We also install water heaters. Check out our Water Heaters in Oklahoma city if you need a new one installed or repaired. You will be very pleasantly surprised to find out that our we work at highly competitive and very affordable prices. That is right, no one should pay to much for a good contractor. Get in touch with us and you will gain the full benefits of a professional at a very reasonable price. Our prices are very competitive call us and you can compare and usually save money in the long run. 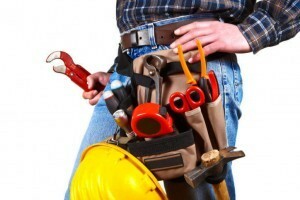 Academy Disc Plumbing & Repair is a leading company in all of the surrounding areas. We will never fail to exceed your expectations and we will always leave our clients happy with all of our work when it is completed. It is always 100% guaranteed. We offer a full one year warranty on labor for all new installations or all repairs. We always put our customers first and make sure up front on what they want or need to be done before we proceed with any repair job or new installation. Great communication with our customer is what we do best and is what is most important in the long run to keep our customers happy. We always make sure it is exactly what the customer wants and what they need. Our guys will always go out of their way every time to make sure you are completely satisfied and all of your needs are met. From big projects to small projects we do it all. Just give us a call. Be sure and check out our plumbers blog for some great Tips and Tricks.